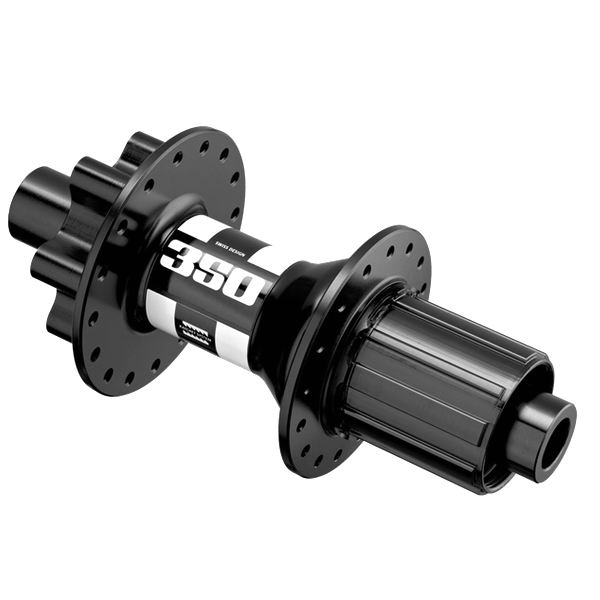 Product information "DT 350 Boost IS disc Rear Hub 6-Bolt black"
Affordable Ratchet System® hubs which are perfect for top end performance all the time down the trail.Boost compatible hubs have an enhanced flange distance. This has significant advantages: a flatter spoke angle and improved symmetry allow building a stiffer and stronger wheel, always an advantage, but especially for larger diameter wheels in challenging terrain. Related links to "DT 350 Boost IS disc Rear Hub 6-Bolt black"
Customer evaluation for "DT 350 Boost IS disc Rear Hub 6-Bolt black"